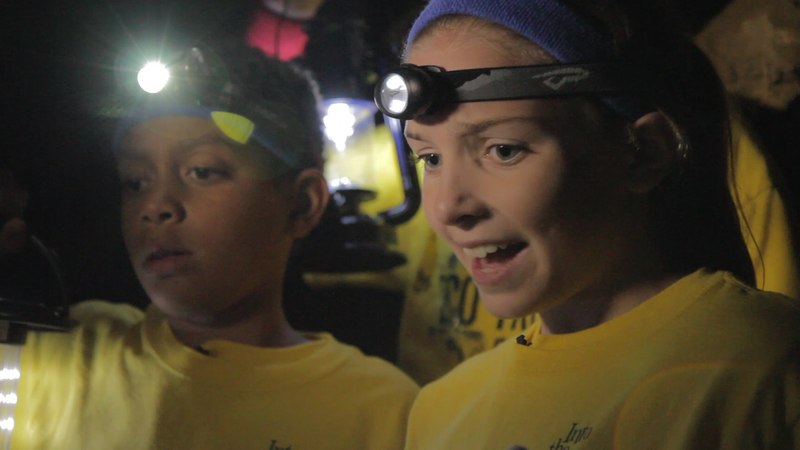 Will the hosts successfully complete what could be one of the biggest adventures of their lives? 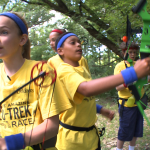 Would YOU be able to survive this gauntlet of physical and mental tasks? As any eco-explorer knows, it's important to use all of your available resources before going on an adventure. 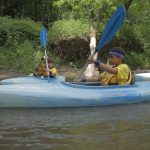 To add to the video resources, explore the discussion guides and lessons below to learn with your adventure buddies about caring for the environment, outdoor safety, and how to stay physically fit. If you want to be a true eco-adventurer, all of these elements are very important. Check out the links below to get started. Ready, set, go! Could you survive this gauntlet of physical and mental tests? Discover the answers by watching the four parts of this science show and reading the information below. And to take this learning adventure into your classroom, have your teacher download the free Lesson Activities at the bottom of this page so everyone can share in the fun of this inquiry based learning. 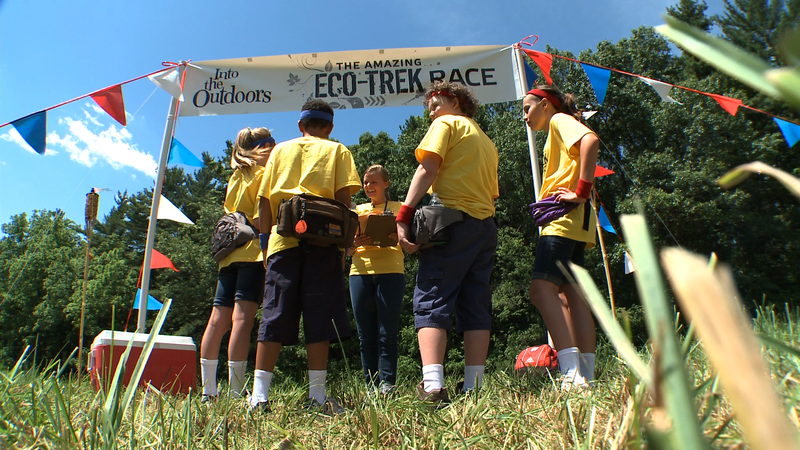 Better grab your energy bars, extra water, sunblock and adventure gear if you hope to keep up with our ITO kids as they embark on one of the biggest adventures of their lives in The Amazing Eco-Trek Race. 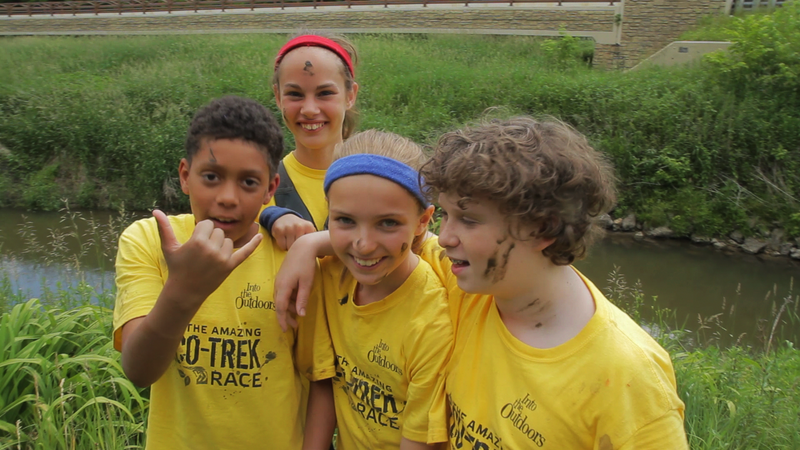 Josh, Caroline, Emma, and Jacob begin a gauntlet of physical and mental tests where they are scored on how they face challenges in four environments across Wisconsin. 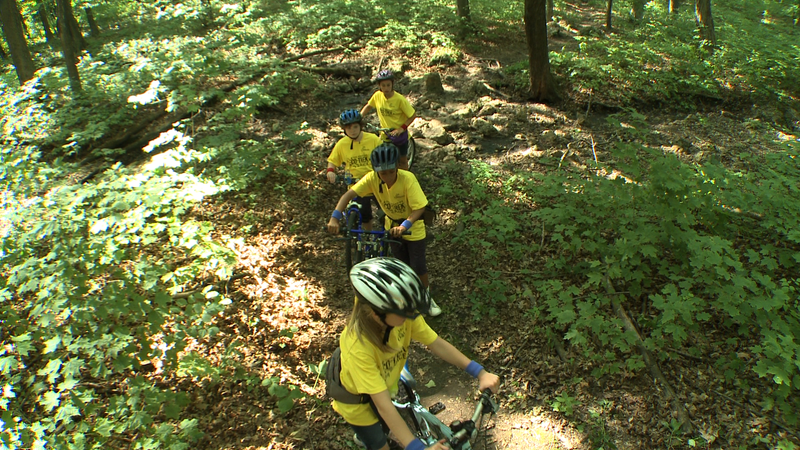 From paddling, to caving, to Hunger Games archery, and biking, they discover new things about their physical limitations while learning many of nature’s secrets in some wild places. 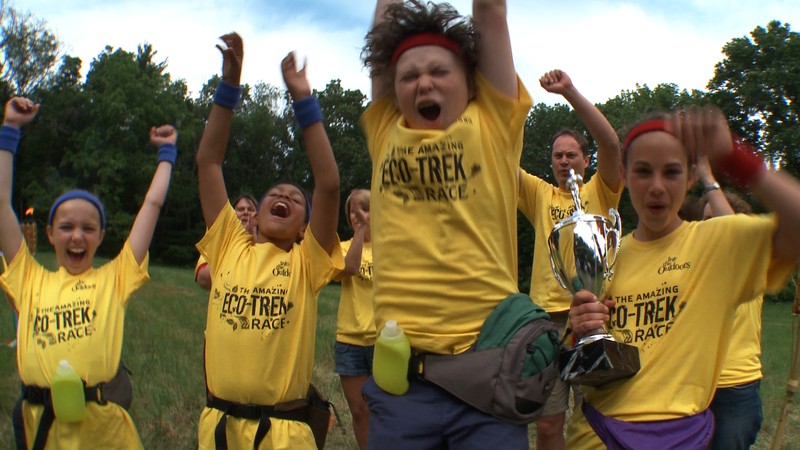 Their amazing race offers some unexpected twists and turns as fear, doubt, and fatigue creep into the competition. 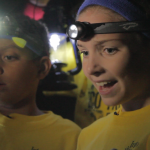 See who makes it to the finish line and what they learned along their remarkable journey. 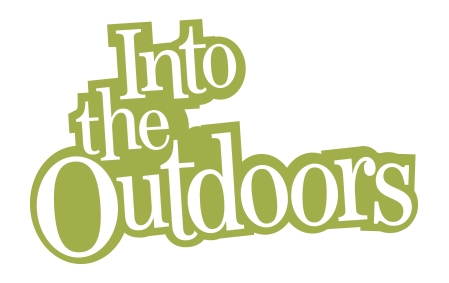 Plus, the educational partner noted below supported the video content here for all of us to learn about safety in the outdoors. 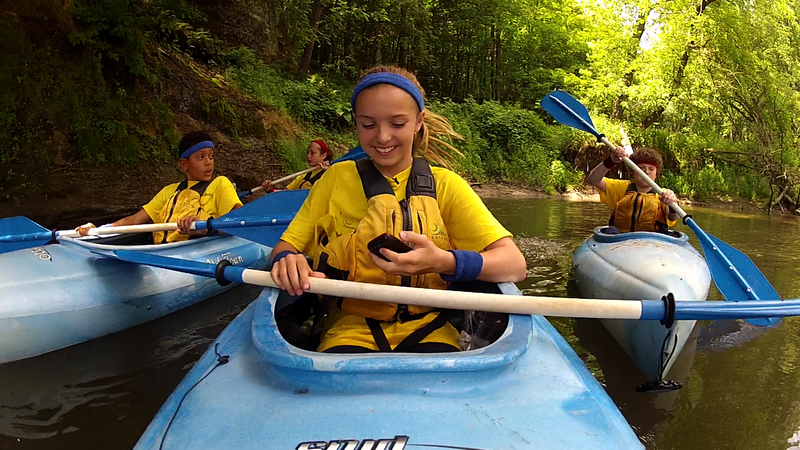 Segment 1 – Kickapoo Kicks Back – In the first challenge of their journey, the ITO team takes to the twisting and ancient river course of the Kickapoo River. 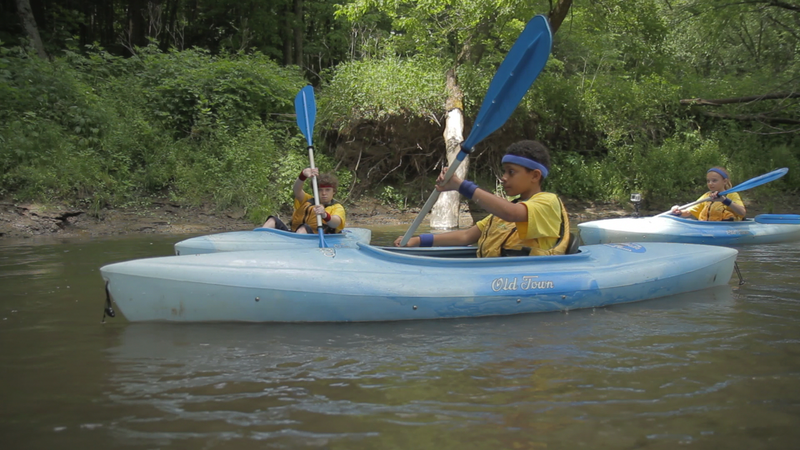 After passing the “parental check” they paddle downstream past dangerous sweepers and towering cliffs in search of mysteries to solve as part of their test. 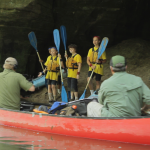 They blend paddling skills with reason as they discover some of the natural dangers here while also documenting some of the rare species that call this wild place home. 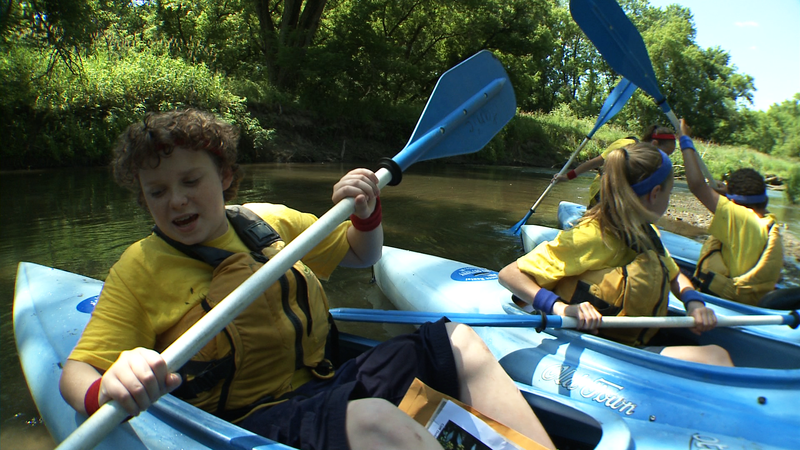 They even get some surprise help on their quest from Ole Man Eco who appears as an apparition in the river. Yikes! 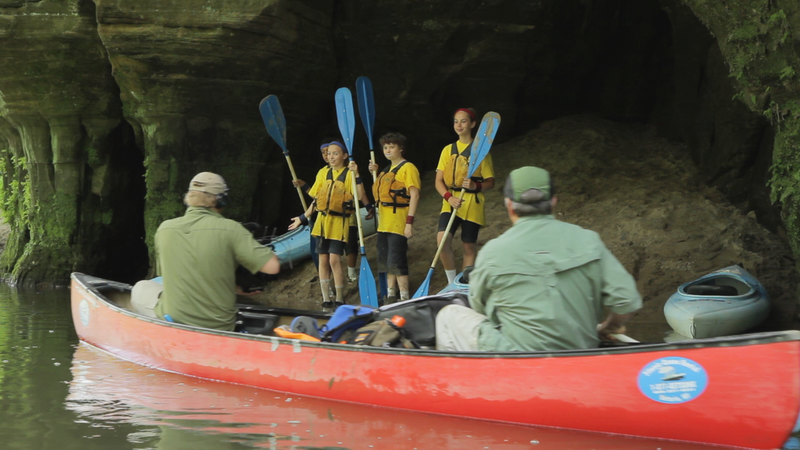 Segment 2 – Dark Journey – After barely recovering from paddling for miles in the wilderness, the team is sent on a sub-terrarium challenge deep into the earth. 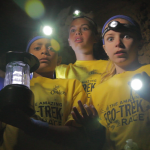 In this part, Josh gets separated from the rest of the competitors as they disappear into the dark within the Kickapoo Indian Caverns. 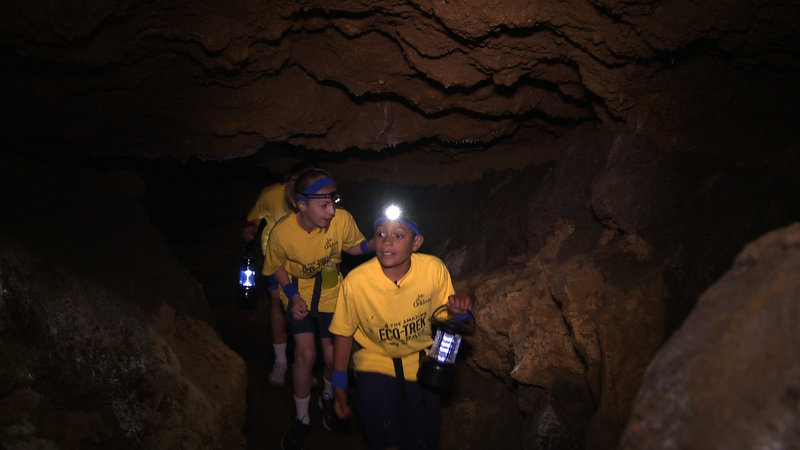 Their quest in this bat haven is to find their way through the labyrinth, solve the cave’s mysteries, and make it back into the light before their time is up. Things go well – for a while – until Jacob decides to take a wrong turn that leads him into a dangerous and hidden part of the cave. 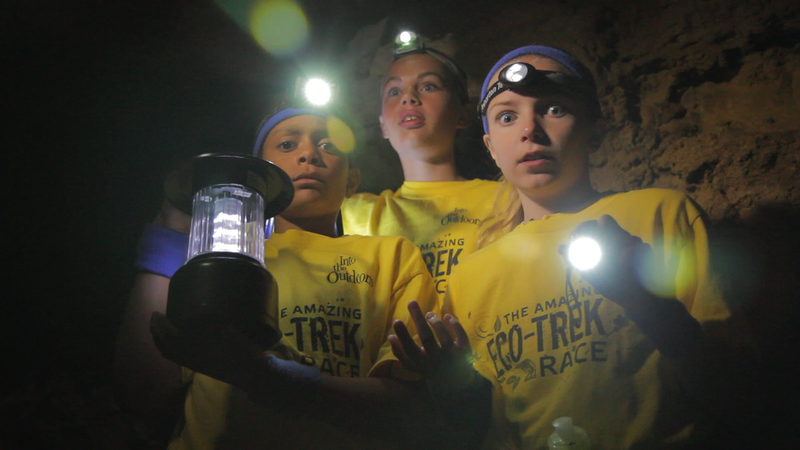 He finds Caroline and Emma just in time, as they discover the cave’s mystery challenge. With some help from Ole Man Eco, they capture the clues and make a wild dash for the surface. 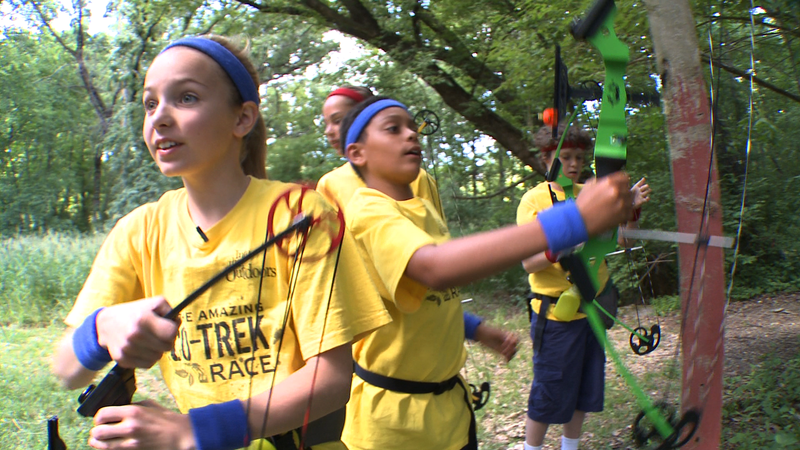 Segment 3 – Hunger Games Archery – Back at the race HQ, the teams get their next challenge – archery competition. 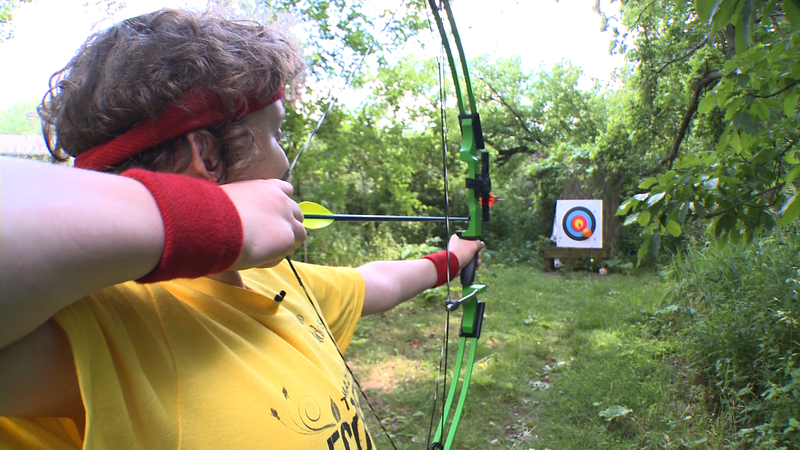 Though the kids are exhausted and hungry, there is a reward for the winners here, as food is one of the prizes for the top archers. 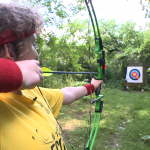 However, things are not as simple as they seem as the kids are also being scored on their decisions and interactions in a competition filled with more unexpected challenges. 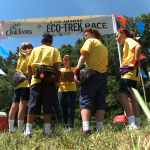 Thing heat up from time to time as the stress of competition and making critical decisions begin to take their toll on the Eco-Trek teams. Watch out for flying arrows and tempers on this one. 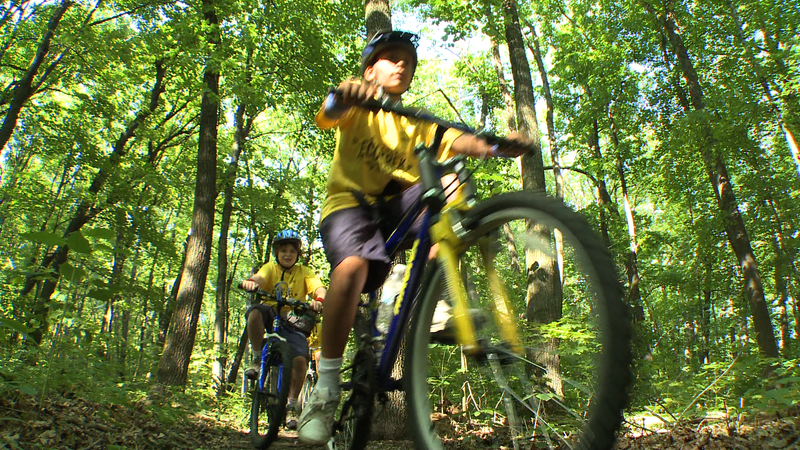 Segment 4 – Biking with a purpose – In this final segment, the teams trade their bows for mountain bikes as they take off down more twisting trails. Rocks, tree roots and logs threaten to upset their final journey. As they face a rocky gully and dismount, they discover the final grand challenge of the race – a video camera with instructions to record each other’s public service announcements. 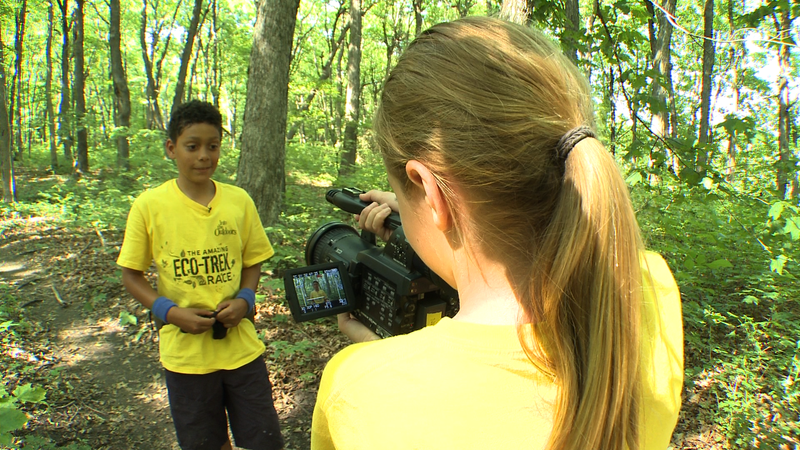 In front of the camera, each kid reveals part of who they are and what they’ve learned on their grand Eco-Trek adventure. But who wins? Make it to the finish line to find out. • Lyme disease is one of the fastest growing infectious diseases in America. 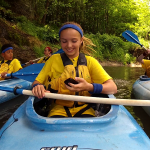 • Some scientists think that Wisconsin's Kickapoo River is the oldest river in North America. • Poison Ivy isn't really poisonous. Your body's histamine system just overreacts to an irritating, oily sap in the plant called urushiol. Urushiol triggers an allergic reaction. Yuck. 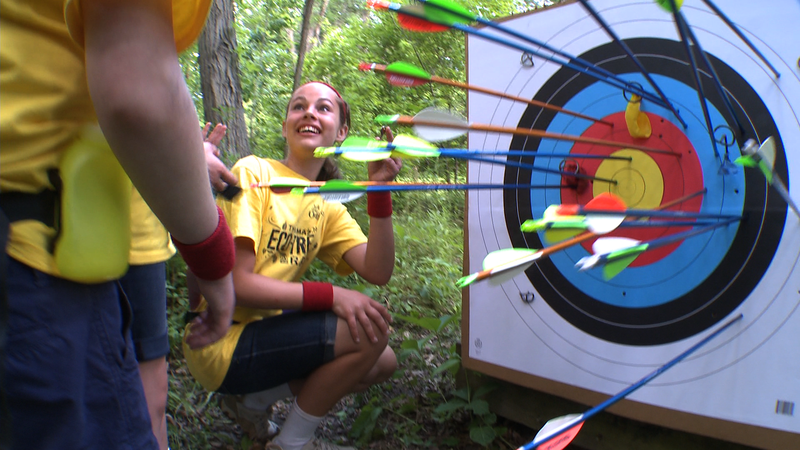 • That new craze in archery inspired by The Hunger Games isn't new at all. It's one of mankind's oldest sports and methods of defense.